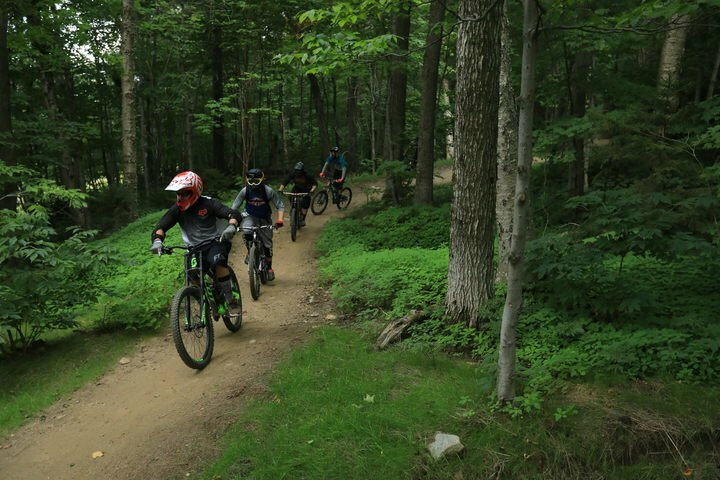 Join MTBVT at Killington Bike Park for a weekend of organized mountain biking for all skill levels, including: on-site camping, vendor garden, bike swap, craft beer garden, whip-off competition, pond cross skinny bridge challenge, kids race, live music, and more! Come help celebrate the season opening of the largest bike park in the East! The Gravity Logic-designed trails on Snowshed and Ramshead mountain areas will provide riding for all ages and ability levels – whether you’re ready to rip down the Black Magic jump line or making your first downhill laps on Easy Street. If you’ve been to their fall Brewfest, you know we like to throw a party and if you haven’t you’ll just have to take their word for it. Located in the Snowshed base area, you’ll have perfect viewing of all the Bike and Brew event action plus access to craft beers brewed right here in Vermont.